Why Page Not Found Might Equal Visitor Found! As errors happen in life, they also happen on your website. The 404 page is the one page you dread visitors to land on. However, with these tips below, you will find out you can have a great 404 page that engages your visitors to other pages of your website. 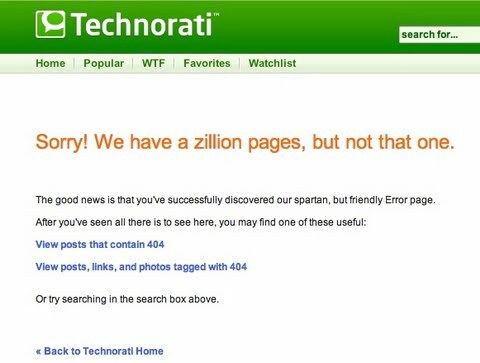 First, you should be aware of what a 404 page is. It’s an error code that means the webpage a visitor was trying to get to could no longer be found. This could be because you now have a broken link on your website or the visitor typed in the wrong website address. However, you can tailor your websites 404 page. Your generic website’s page has no particular design or message. However, with a few design tips, you can change this issue. There are 404 pages, and then there are horrific 404 pages. There are actually custom pages with technical terms or pages with no information at all. This can lead your website visitor to wonder if they made it to the right website at all. A 404-error page does not necessarily have to be all bad. In fact, it can prove quite useful. Your error page should lead your readers to understand that they are on the right website and provide information on how they can find content that can actually help them. Ensure this information makes them want to stay on your site to get them the answers they are seeking. Now do not go wild with your error page and lead your visitors to every link on your site. A few specifics should be included though. Do not provide too much info as this could also scare them away. First, have a headline that stands out. Then it should be followed with the information that says they are on the wrong page but the right website. Even if you don’t use your company name, a branded logo works just as well. The saying that less is more actually is helpful when speaking in regards to a 404 page. You do not want to add more complications to a page that already has your website visitor confused. Ensure they have just enough options to get to where they should be. Every page on your website should include a search functionality feature. If your visitor typed in the wrong location, they can simply search for what they were looking for. Now remember, you can customize your website to be fun. Therefore, you can also add other graphics around your search feature. In addition to the search feature, maybe the visitor is not quite sure of what they are looking for. So ensure you have a sitemap or that your homepage links are visible on your 404 page. The sitemap should mimic the rest of your website’s design. Having this in place allows your visitors to pull information in the category you link to. Every web page should include a clear call to action. This tells your readers to do something. It can direct your reader to your homepage or to search for what they are looking for. A call to action on your 404 page can benefit you as well. Feel free to leave a way for your visitors to report the broken link. This way you can fix broken links on your website too. You do not want your users to go away from your website. If you feel your users will get frustrated, consider adding a few categories they can click into or actual links to your best blog posts. You might as well get the most out of this page, right. Finally, why not add a bit of personality to your 404 page. Make it fit in with the rest of your website and help set the tone. Your colors, design, and images all set the stage for an awesome 404 page. Lego has the perfect 404 page for adults and children. Your 404 page can either hurt you or benefit you. Keep I mind, that as useful as your 404 page can be, you do not want it indexed by search engines. So set your web server to return a 404 HTTP error status code.